The Ides of March (Latin: Idus Martiae) is the name of March 15 in the Roman calendar. The term ides was used for the 15th day of the months of March, May, July, and October, and the 13th day of the other months. The Ides of March was a festive day dedicated to the god Mars and a military parade was usually held. In modern times, the term Ides of March is best known as the date that Julius Caesar was killed in 709 AUC or 44 B.C. Julius Caesar was stabbed to death in the Roman Senate led by Marcus Junius Brutus, Gaius Cassius Longinus and 60 other co-conspirators. 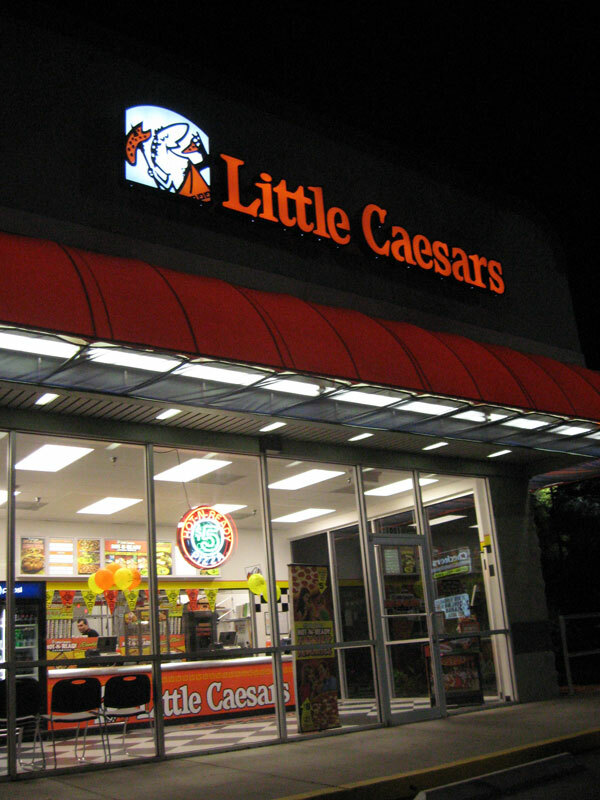 After receiving a $10 gift card, I picked up a pizza from the Little Caesars in Altamonte Springs. It wasn't until after getting home that I realized that I was eating pizza from a fast food restaurant named after a Roman emperor on March 15, the Ides of March, or the anniversary of Caesar's death. Coincidence is pretty awesome sometimes. This was my first time ever eating pizza from a Little Caesars. I tend to avoid the big pizza chains, so a Little Caesars isn't someplace I would normally visit without the incentive of using a gift card. 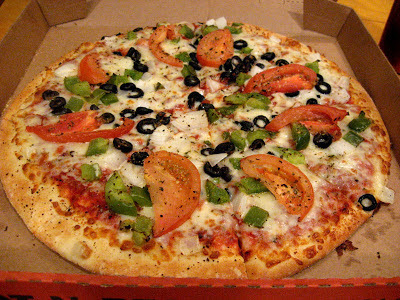 Comparing this pie to what the other pizza chains serve, Little Caesars was better than Pizza Hut, but not as good as Papa Johns. Haven't tried Dominos new recipe yet, so I can't compare to them. 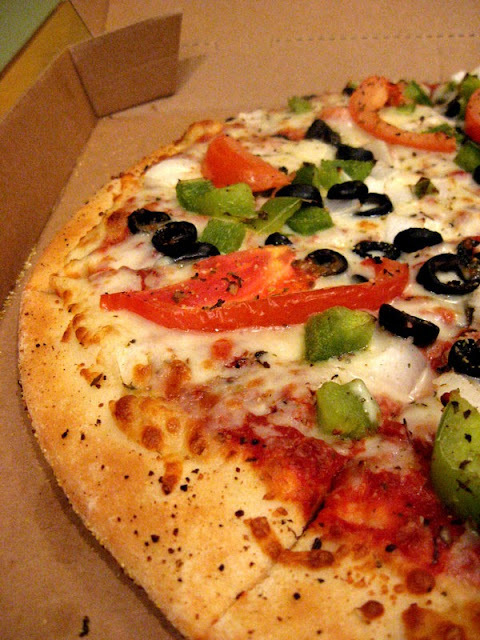 The Vegetarian Pizza was topped with onions, green peppers, black olives, and sliced tomatoes. Today is the two year anniversary of when I started this blog. And it's still going. On Saturday, May 24, I ran in the Race the Lakes 10k in Lakeland, FL. It was fun (although paying to run, even if part of the money goes to a good cause, seems so silly to me). The race started in front of Lake Mirror, proceeded through downtown, around Lake Morton, through some neighborhoods filled with lots of old historic mansions, around Lake Hollingsworth, and then returned to the start at Lake Mirror. After the run, it was time for the post-race food. They had boxes of bananas, Fuji apples, and Gala apples. Fuji apples are one of my favorites, and I'm normally fine with bananas. For some reason though, bananas always taste horrible after I run. Cookies aren't exactly the healthy post-race food that I would expect, but these oatmeal raisin and lemon coconut cookies were pretty good. I had lunch at Abuelo's Mexican Food Embassy in Lakeland. The interior of the restaurant was set up to look like an outdoor courtyard. I had the Enchilada and Taco combination from the lunch menu. I had my choice of fillings in each and picked an avocado enchilada and chicken taco. The avocado in the enchilada was actually a really smooth guacamole. Sort of reminded me of the guacamole from Taco Bell, but it was still tasty. No complaints about the taco. 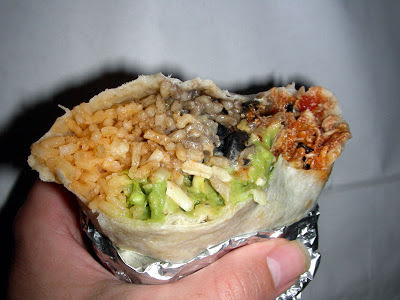 The combination also came served with refried beans and rice. 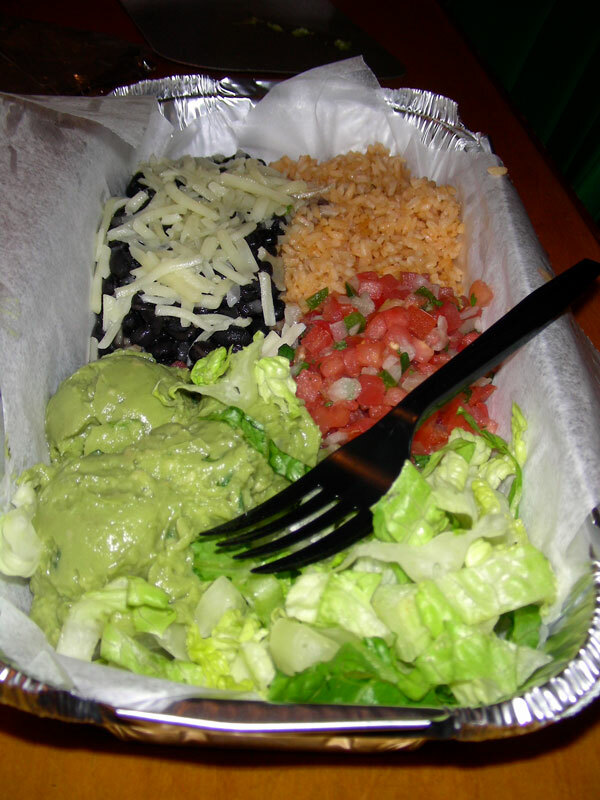 Abuelo's was pretty good for a chain Mexican restaurant. I'd place them above other chains like Chevy's or Don Pablos. I ate dinner at a new seafood restaurant in Lake Mary called Fresh on the Fly. Their menu was somewhat limited with almost only sandwiches and salads. There was nothing that could be considered a seafood dinner, but I personally had no problems with the menu. The menu also shared that Fresh on the Fly only uses sustainable wild-caught fish, grass fed beef, and hormone free chicken. I had the On the Fly Fish Tacos. The two tacos were filled with blackened mahi mahi, lettuce, pineapple salsa, and mango sour cream. These were very tasty tacos and only cost $5. Not bad, considering I've had similar tacos that weren't nearly as good at nearby restaurants for double the price. One final thought about Fresh on the Fly. Their sign is really hard to read from Lake Mary Blvd. I had no problem seeing Fresh, but the rest of the sign is too small and jumbled to decipher from a distance. I probably would have eaten here sooner if I would have been able figure out what this place was from their sign. 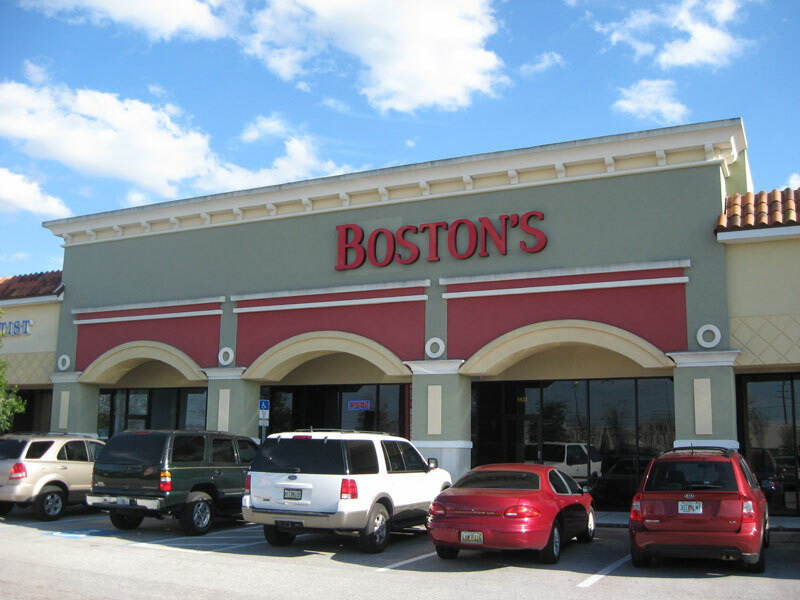 I had a late dinner at Stavro's and Sons in Eustis, FL. The meal started out with some garlic bread and a Greek salad with shredded lettuce, onions, ham, feta cheese, kalamata olives, and a pepperoncini. Ham doesn't typically come in Greek salads, so that was somewhat surprising. For my meal, I ordered the Cannelloni Florentine. As described on the menu, this consisted of large tubular noodles filled with spinach, cheese, and veal. Differing from the menu, the cannelloni I received also had carrots mixed into the filling. I didn't see any of veal in the noodles, but the cannelloni was served in a meat sauce, so perhaps that's where the veal was. Even though the cannelloni was served slightly differently from how described, it was still really tasty. For $8.95, it wasn't a bad deal considering a plate of spaghetti with meatballs was $9.25 when cannelloni is definitely more labor intensive to make. When paying, we spotted the dessert case filled with cannolis and decided to get one to go. The shell wasn't the typical crispy cannoli shell and was instead more light and flaky. The custard filling was topped with chocolate shavings on each end and was really good! 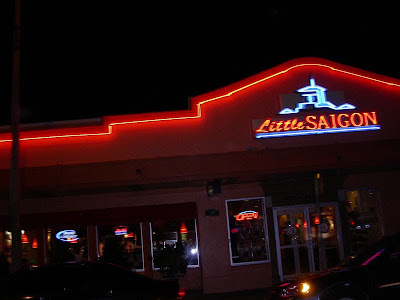 I ate dinner at Little Saigon in Orlando's Mills 50 District (or Colonialtown, Viettown, Little Vietnam, or whatever else the neighborhood is known as). 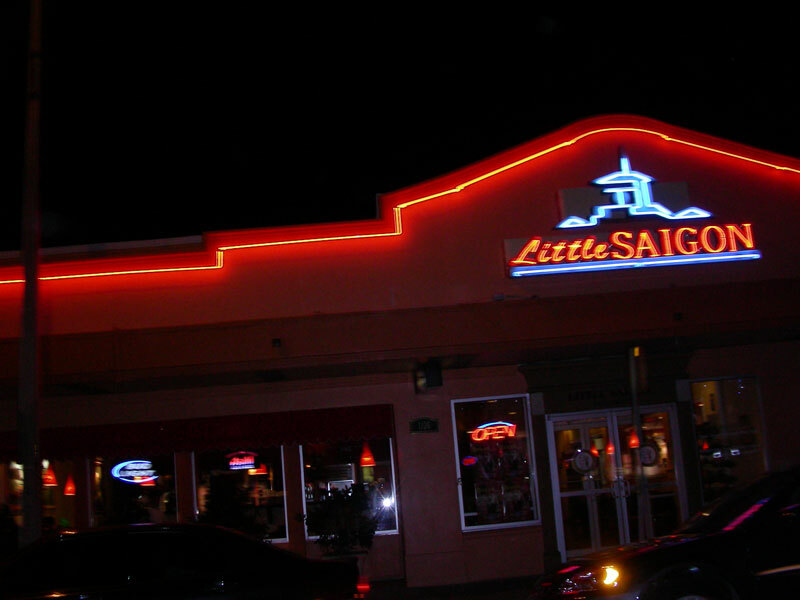 Little Saigon has won all sorts of awards, including best Vietnamese in this year's Orlando Sentinel Foodie Awards. As the sign in front of Little Saigon said, they are "One of America's Top Rated Restaurants." The meal started with a Summer Roll appetizer. These rolls filled with pork, shrimp, vegetables, and noodles were tasty, but they were also very skinny compared to the Summer Rolls from the neighboring restaurants. I had the Hu Tieu Thap Cam. It was a soup filled with roasted pork, shrimp, krab, scallions, cilantro, and clear rice noodles in a broth. 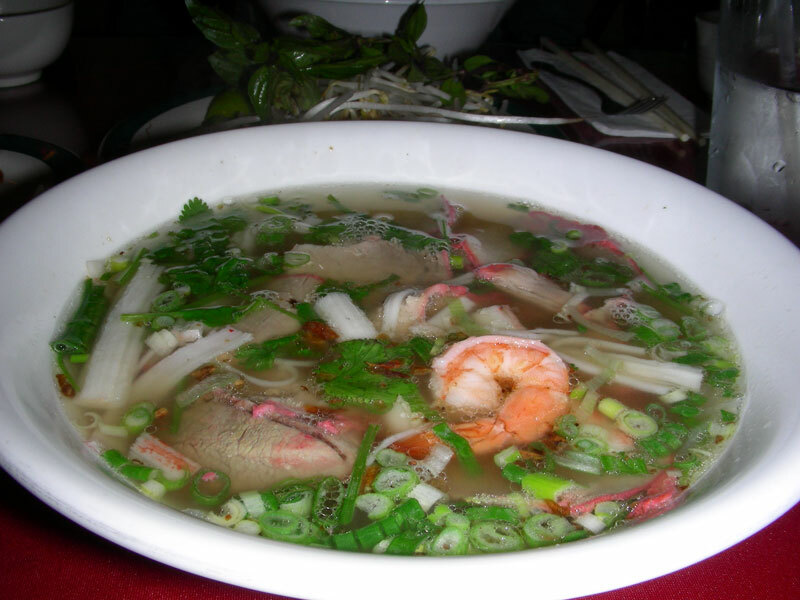 A plate of bean sprouts, jalapeno slices, basil, and lime was served on the side to be added to the soup. It was really tasty and was a whole lot of food, all for $6.50! 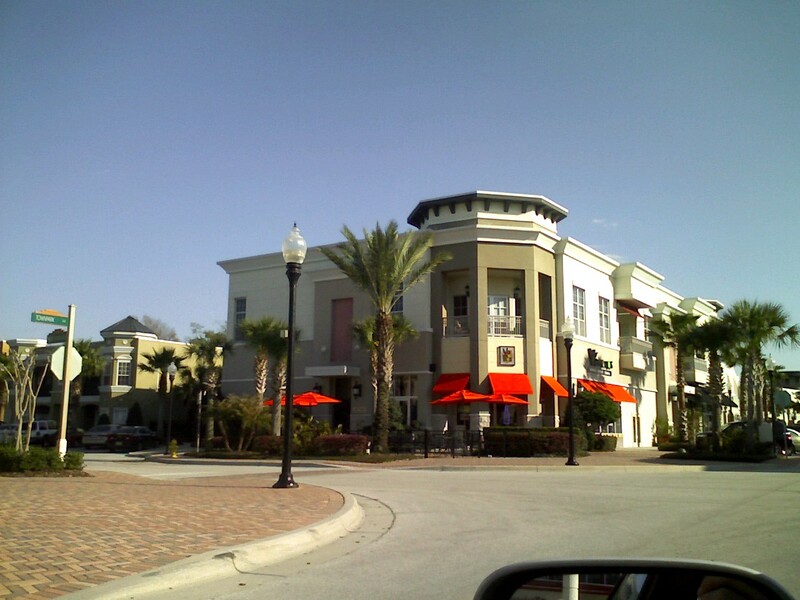 I ate lunch at a Cuban restaurant in Downtown Lakeland called Pipo's Cafe. I ordered their lunch special that included a half sandwich, rice and beans, plantain chips, and iced tea. For my sandwich, I chose a classic Cuban sandwich, or the Cuban "The Real Deal" as they called it. In addition to the normal roast pork and ham, there was salami and mortadella on this Cuban sandwich. The pork was topped with cheese, pickles, and mustard, and then pressed. The sandwich was a little dry, but was still pretty good. I had dinner at Logan's Roadhouse in Sanford. I ordered the Mesquite Wood-Grilled Salmon and picked a Caesar salad and mashed potatoes as my sides. The salmon was good, especially with the garlic-dill sauce served on the side. I'm not exactly sure what was in that sauce, but it was one of the best sauces I've had with seafood in a long time! 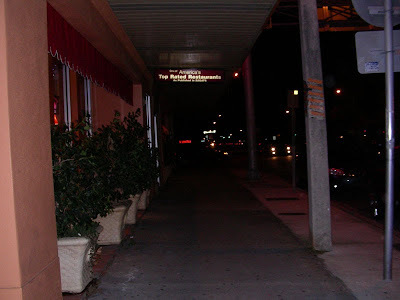 Back in July of 2007, I visited Manhattan's Curry Row for some Indian food. This neighborhood is lined with Indian restaurants, each one with someone standing outside, competing with one another for you to come eat at their store. 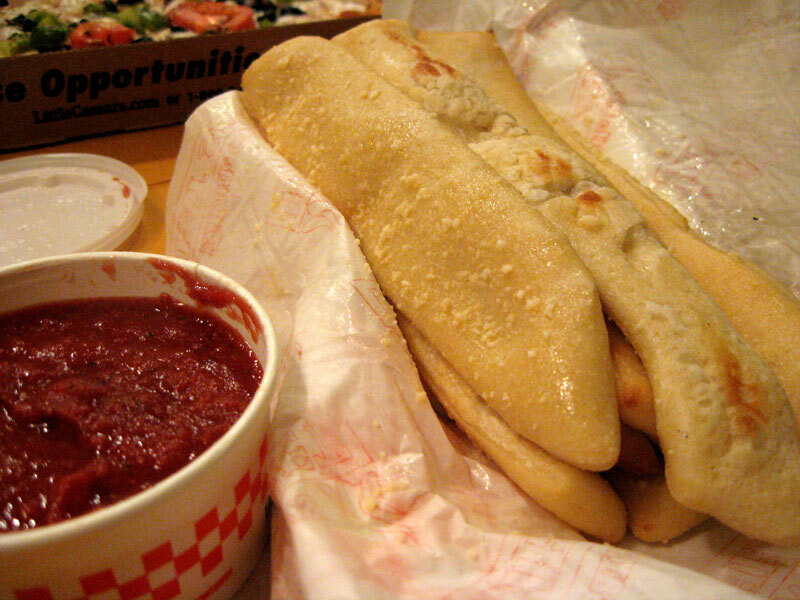 It sounded like walking down a carnival midway past the games, only dealing with food. On this visit, a restaurant called Spice Cove won my business. Spice Cove offered a dinner special that included an appetizer, soup, and a main course for a really good price, so I went with that. Red Lentil soup was served first. It was really good, and the deep red color of the soup was great. I've never come across another lentil soup that color. Next, the vegetable samosa appetizer was served. Yummy! I picked up some takeout from Vámonos in the Colonial Town Center in Heathrow. 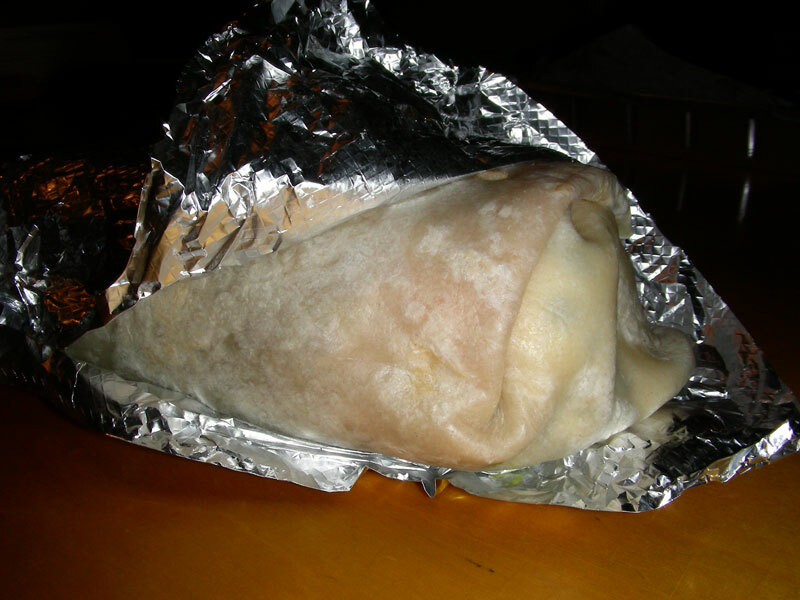 Vámonos is a new fast food Mexican restaurant that is attempting to follow the Chipotle/Qdoba/Moe's restaurant model. The menu initially looked good with nice selection of meats to choose from, but it turned out Vámonos only had three of the eight meats available. I know nothing about running a restaurant, but I imagine it's probably not a good sign if you don't have the majority of the menu at dinnertime. I brought home a vegetarian platter for someone else, consisting of rice, beans, pico de gallo, cheese, sour cream, guacamole, lettuce, and a side of corn tortillas. I didn't taste it, but I didn't hear any complaints about it either. I got a chicken burrito for myself. The tortilla was filled with shredded chicken, black beans, rice, guacamole, cheese, sour cream, lettuce, and a spicy salsa. 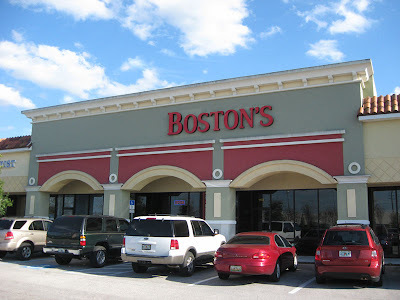 I ate at the new Boston's Fish House that went into a spot once occupied by American Pie Pizza in Sanford. I ordered the Gulf Shrimp Roll with onion rings and cole slaw. Being that this was under the sandwich section of the menu, I was expecting to be able to eat this shrimp roll like a sandwich. That's a bit hard to do when they leave the tails on the shrimp and the bread is too soft and mushy to hold the pile of shrimp together as a unit. 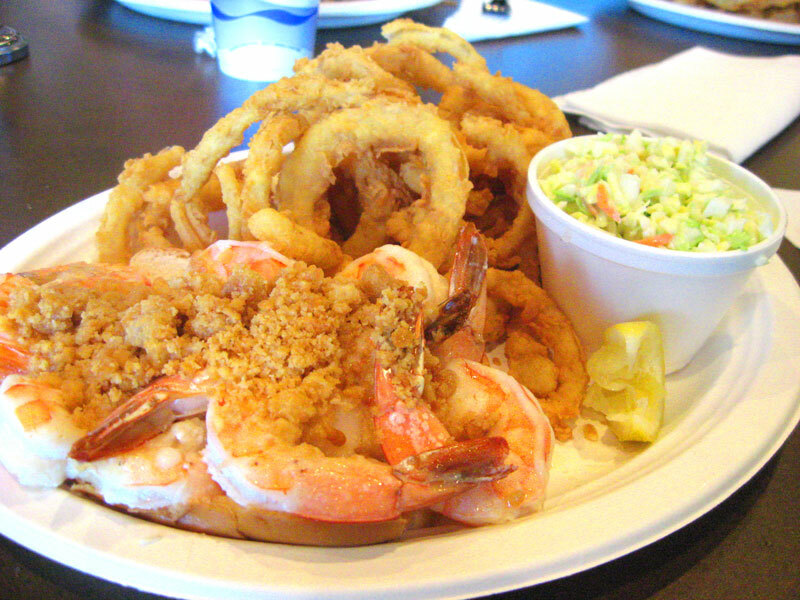 The cole slaw was good and the huge pile of freshly made onion rings were really tasty. The good sized broiled shrimp were nice and tasty, but it was definitely not a sandwich! Don't call something a sandwich when you are serving something that's impossible to eat like a sandwich! I had The Classic Cuban Press sandwich from Gourmet 2 Go in Downtown Sanford. The sandwich was filled with pulled pork, ham, pickles, mustard, and a very gooey cheese. Macaroni salad and a pineapple slice were served on the side. It was a very tasty Cuban sandwich and I'd gladly return to Gourmet 2 Go!